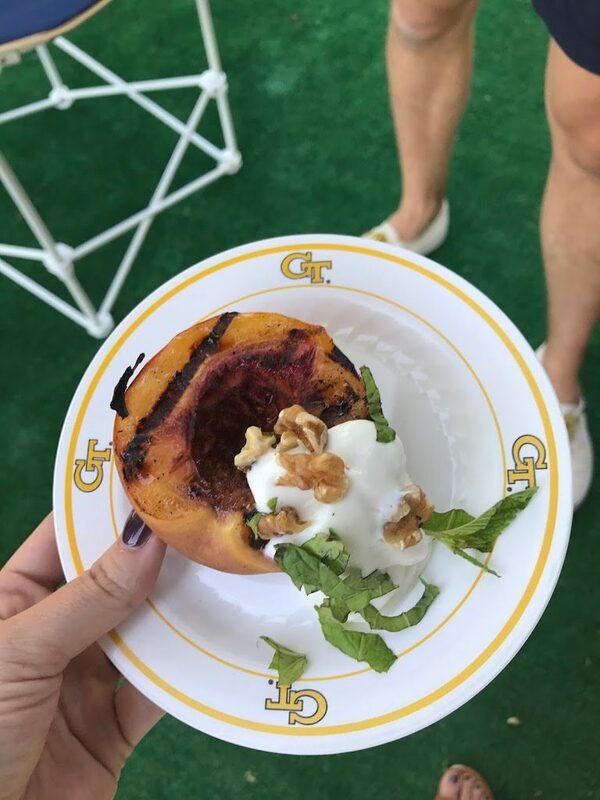 I always try to have SOMETHING healthy at a tailgate party, and for brunch games, that usually is some sort of a fruit salad. Those can be really boring (unless you are looking a fun ones on THIS blog! ;)), but this recipe jumped out a me, because it’s different. 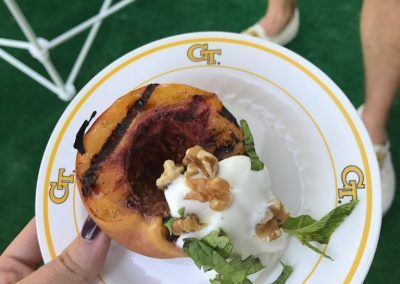 Grilled peaches have shown up on just about every menu this summer (they were even on the signature salad at my daughter’s wedding this past June!). 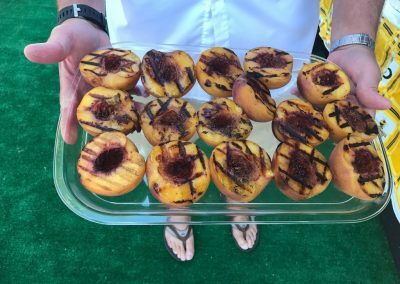 So, being ever trendy, we are serving grilled peaches at this week’s tailgate! They’re topped with some yogurt and nuts to add to the healthy factor, but honestly, they’re just as delicious plain. Feel free to be creative with them – you could use maple syrup, cinnamon – whatever sounds good to you! This recipe serves 4, so adjust your amounts for your party! Preheat grill on medium high heat. 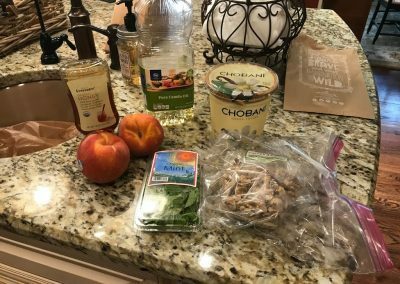 Cut the peaches in half and remove pits. Brush all parts of the peaches with oil. Grill with the cut part down for 2-4 minutes. Turn over, and grill another 2-4 minutes for grill marks. 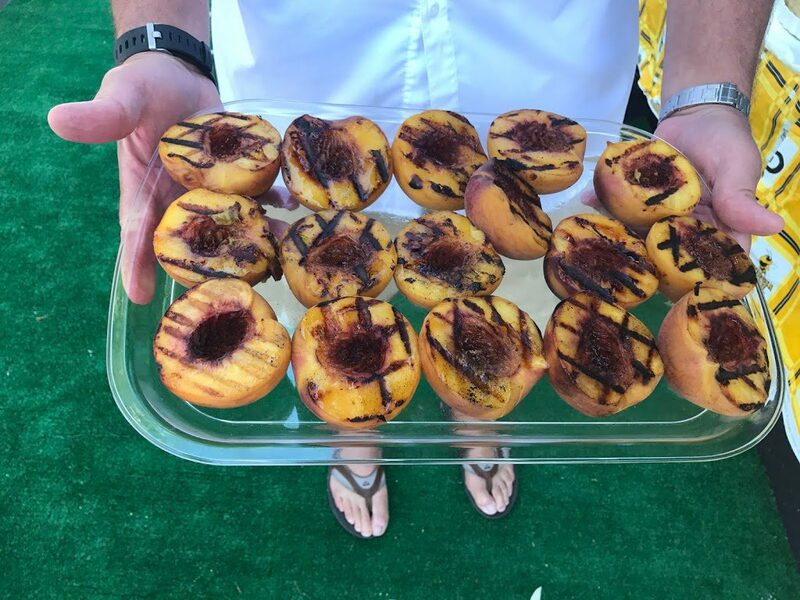 Flip peaches back over onto skin side, and turn heat to low, and grill another couple of minutes until peaches are soft to touch. 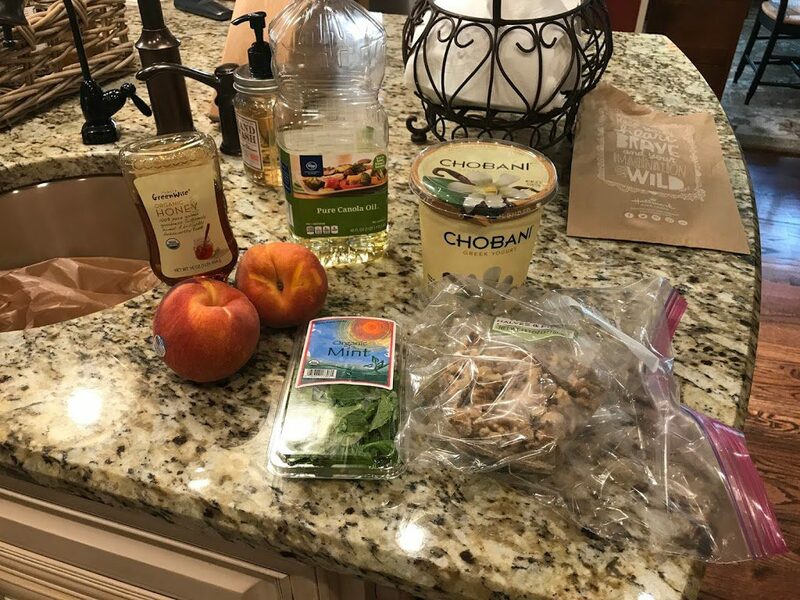 Remove from heat, and top with a dollop of Greek yogurt, some chopped walnuts, a drizzle of honey, and mint garnish if you like. Grill with the cut part down for 2-4 minutes. Turn over, and grill another 2-4 minutes for grill marks.